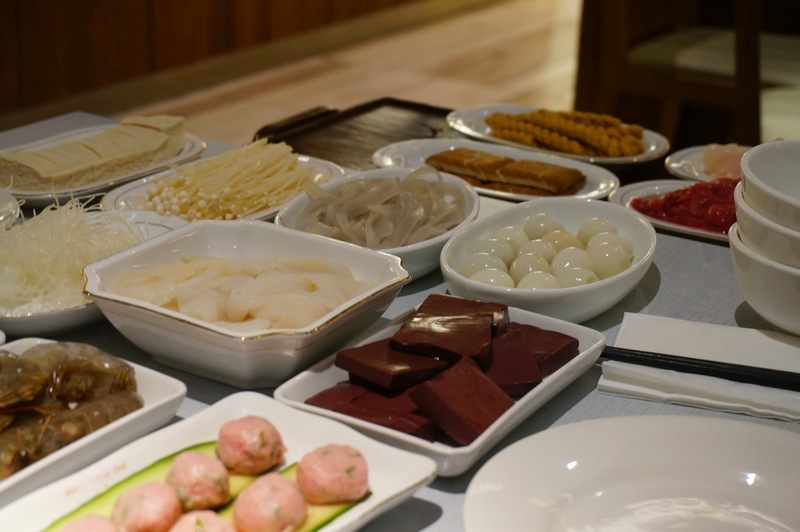 I am a long-time fan of Sichuan cuisine, and Dainty Sichuan provides a more (unnecessary) up-market take on well-loved dishes. They recently opened a new location in the city which offers both their a la carte menu and hot pot style dining, so we jumped at the chance. One thing you cannot expect from most Asian restaurants, is good or friendly service. Dainty Sichuan is no exception. The service was slow, and due to no one waiting at the front desk, it took a long time to be seated. A brief check of the menu showed a lot of my staple dishes were missing, but that’s ok, bring on the Chong Qing Hot Pot ($31.8/pp). 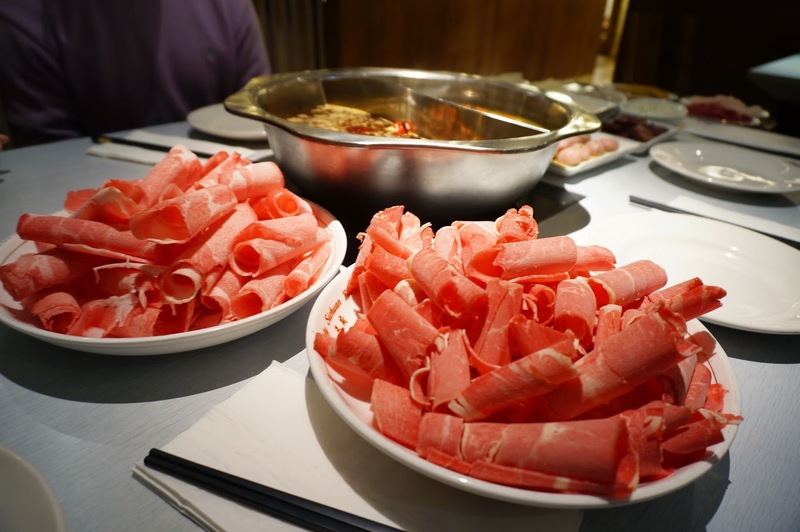 There is a lot of choice of items to cook in your hot pot, and all of the meat is fresh and tastes quite nice. 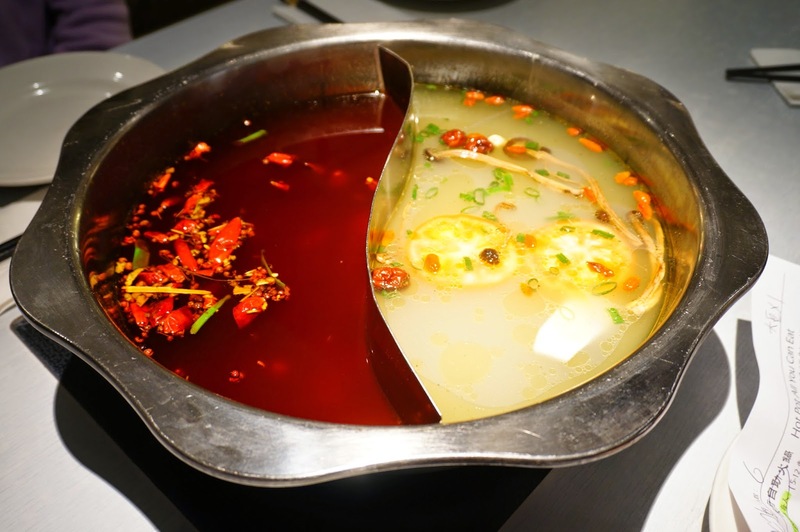 You are able to split your pot into half-half, for the diners who don’t like chilli as much. The spicy side is saturated with spices and chilli and really makes it a Dainty Sichuan recognised soup. The non-spicy side has a lot of Chinese herbs and is chicken stock-based. There were a few starters you could order as well, the pre-cooked fried chicken bits were reminiscent of the a la carte “kung pow chicken”. The lap cheong sausage was a favourite, but I typically don’t like the oily fattiness of the Chinese sausage. 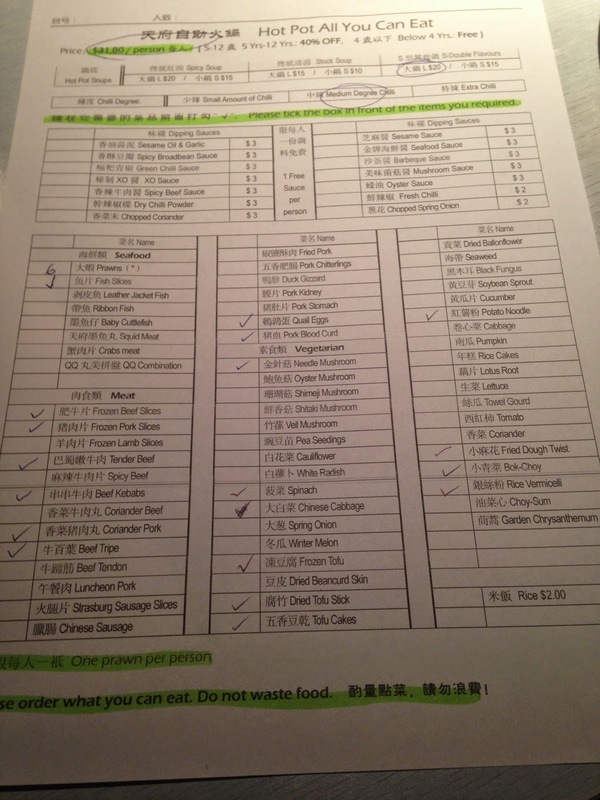 My favourite items were definitely the raw meats, meat balls and the pig’s blood cubes. The vermicelli and potato noodles were great as well, and the unlimited factor is definitely a plus. For those who need a bit of green in their meal to not feel guilty, there are plenty of leafy bok choy and cabbage to go round. Just a warning, the soup gets quite oily after a while, so you may want to ask the waiters for a new bowl, and use one as an oil dumping ground.